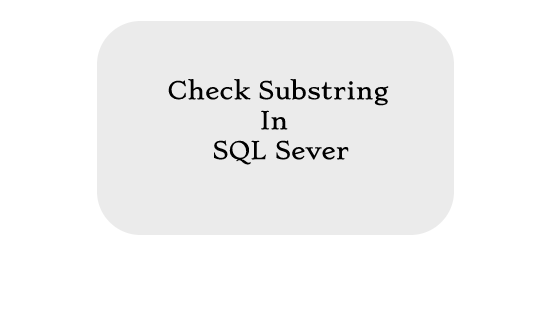 In this article, I will explain how to check a string contains a substring or not in SQL Server. There are two ways for check it. They are as given below. Now start here one by one with practically. This function is used to search a specific word or a substring in whole string if it find out then returns it’s starting position. If it is found, then it will return 0 (zero). Any where in the given string. This function returns starting location of a pattern from given string. In above snapshot you can see PATINDEX() returns starting matching Index of substring from a string. It means expressionToFind is available in given string.